If you’re planning a trip to some of the best beaches in the Caribbean, take a detour in order to visit the world-famous Dunn's River Falls & Park. As one of Jamaica’s top tourist attractions, this incredible natural wonder can get very busy, but it is still well-worth a visit. Climbing up the falls — 180 metres of vast limestone tiers — is an elating experience. The water cascades down through a variety of refreshing pools and, though the current can be strong is some places, the ascent is easily manageable for most. Whether you’re on a Jamaican luxury yacht charter or visiting this amazing country on a private superyacht, the Dunn's River Falls aren’t to be missed. If you’re planning a trip to some of the best beaches in the Caribbean, take a detour in order to visit the world-famous Dunn's River Falls & Park. As one of Jamaica’s top tourist attractions, this incredible natural wonder can get very busy, but it is still well-worth a visit. Climbing up the falls — 180 metres of vast limestone tiers — is an elating experience. The water cascades down through a variety of refreshing pools and, though the current can be strong is some places, the ascent is easily manageable for most. Whether you’re on a Jamaican luxury yacht charter or visiting this amazing country on a private superyacht, the Dunn's River Falls aren’t to be missed. If you are looking for a challenge during your Caribbean superyacht vacation then hiking the 115 miles of the Waitukubuli National Trail in Dominica is bound to be an unforgettable experience. The trail is split into 14 different sections so if you are feeling a little less adventurous then you can choose to tackle as much or as little as you want. Known as the “Nature Island” the coast-to-coast route takes in some of Dominica’s most scenic landscapes including the Morne Trois Pitons National Park, which is a UNESCO World Heritage Site. Storm Erika devastated parts of Dominica in 2015 but the island is now happy to welcome back visiting superyachts. If you want to hike the trail guests are required to purchase either a one day or 15 day pass. No matter how much of the route you choose to tackle it is guaranteed to be a breath taking Caribbean experience. If you are looking for a challenge during your Caribbean superyacht vacation then hiking the 115 miles of the Waitukubuli National Trail in Dominica is bound to be an unforgettable experience. The trail is split into 14 different sections so if you are feeling a little less adventurous then you can choose to tackle as much or as little as you want. 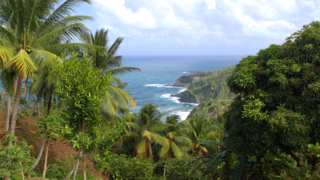 Known as the “Nature Island” the coast-to-coast route takes in some of Dominica’s most scenic landscapes including the Morne Trois Pitons National Park, which is a UNESCO World Heritage Site. Storm Erika devastated parts of Dominica in 2015 but the island is now happy to welcome back visiting superyachts. If you want to hike the trail guests are required to purchase either a one day or 15 day pass. No matter how much of the route you choose to tackle it is guaranteed to be a breath taking Caribbean experience. 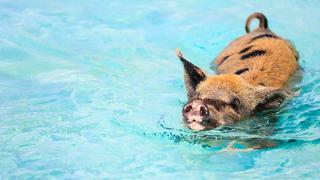 The Caribbean is famous for its incredible sea life, boasting some of the world’s best dives, but an uninhabited island of Big Major's Spot in Exuma island chain, The Bahamas offers you the chance to swim with a different kind of creature — pigs. The brown and pink wild pigs live freely on the white sandy beach, which has been nicknamed by locals as “pig beach”, and who regularly take to the water for a cooling dip. There are various rumours as to how the pigs came to live on the island. Some people claim they swam to shore from a shipwreck, while others believe they were dropped off by sailors who intended to come back and cook them. These days locals and tourists feed the pigs and swimming with them is definitely an experience to tick off your Caribbean bucket list. However, be warned, friendly as they may be they are prepared to swim after you for food! The pigs have become a popular tourist attraction so it is worth trying to get there early in the morning. You can anchor the night before at nearby Staniel Cay Yacht Club, which can accommodate yachts up to 56 metres and has a great party atmosphere. The Caribbean is famous for its incredible sea life, boasting some of the world’s best dives, but an uninhabited island of Big Major's Spot in Exuma island chain, The Bahamas offers you the chance to swim with a different kind of creature — pigs. The brown and pink wild pigs live freely on the white sandy beach, which has been nicknamed by locals as “pig beach”, and who regularly take to the water for a cooling dip. There are various rumours as to how the pigs came to live on the island. Some people claim they swam to shore from a shipwreck, while others believe they were dropped off by sailors who intended to come back and cook them. These days locals and tourists feed the pigs and swimming with them is definitely an experience to tick off your Caribbean bucket list. However, be warned, friendly as they may be they are prepared to swim after you for food! The pigs have become a popular tourist attraction so it is worth trying to get there early in the morning. You can anchor the night before at nearby Staniel Cay Yacht Club, which can accommodate yachts up to 56 metres and has a great party atmosphere. Stingray City is a series of shallow sandbars found in the North Sound of Grand Cayman, which gives visitors the chance swim and feed stingrays in crystal waters. 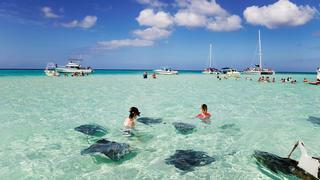 The stingrays are used to being fed by the visiting tourists and as a result are friendly. If you want to make it a family activity it is possible to interact which the sting rays while standing in just one metre of water. For the more adventurous it is possible to arrange scuba dives where you can sit on the sandy ocean floor with them — arguably one of the best diving experiences in the Caribbean. Stingray City is a series of shallow sandbars found in the North Sound of Grand Cayman, which gives visitors the chance swim and feed stingrays in crystal waters. The stingrays are used to being fed by the visiting tourists and as a result are friendly. If you want to make it a family activity it is possible to interact which the sting rays while standing in just one metre of water. For the more adventurous it is possible to arrange scuba dives where you can sit on the sandy ocean floor with them — arguably one of the best diving experiences in the Caribbean. 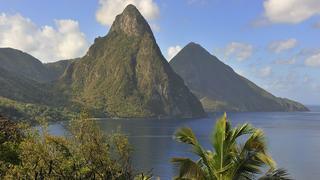 The Pitons in St Lucia are one of the most iconic sites in the Caribbean. However, to truly experience them forget about your superyacht gym and take the challenging climb up Gros Piton. At 786 metres Gros Piton is St Lucia's second highest peak after Mount Ginie. It is a much easier climb than Petit Piton and is the only hike sanctioned by the St Lucian government. The hike will take about five hours but the view from the top will give you a unique perspective of St Lucia’s striking landscape and is definitely something that should be on any Caribbean bucket list. If you are enjoying a private voyage or a luxury yacht charter in St Lucia it is possible to anchor right below the pitons and then take a tender in to Soufrière to start your hike. The Pitons in St Lucia are one of the most iconic sites in the Caribbean. However, to truly experience them forget about your superyacht gym and take the challenging climb up Gros Piton. At 786 metres Gros Piton is St Lucia's second highest peak after Mount Ginie. 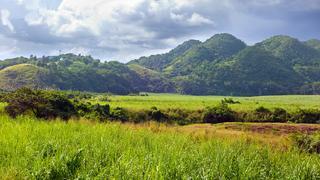 It is a much easier climb than Petit Piton and is the only hike sanctioned by the St Lucian government. The hike will take about five hours but the view from the top will give you a unique perspective of St Lucia’s striking landscape and is definitely something that should be on any Caribbean bucket list. If you are enjoying a private voyage or a luxury yacht charter in St Lucia it is possible to anchor right below the pitons and then take a tender in to Soufrière to start your hike. Every year thousands of humpbacks travel to the Dominican Republic’s Samaná Bay, which has been a whale breeding ground for centuries. The whales start returning in December after nine months of feeding in the Atlantic and from mid-January to late March you are virtually guaranteed to be able to spot one of the majestic creatures. 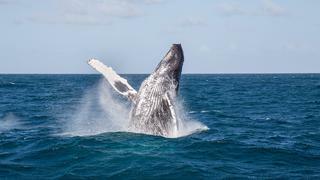 During this period it is also possible hear the male humpback’s courting song and watch them vie for female attention. Whether on a private yacht or luxury yacht charter in the Dominican Republic the country has plenty to offer. Once you are finished whale spotting you should cruise onto the Los Haitises National Park, which has beautiful rain forests that are predominantly only accessible by boat. Every year thousands of humpbacks travel to the Dominican Republic’s Samaná Bay, which has been a whale breeding ground for centuries. The whales start returning in December after nine months of feeding in the Atlantic and from mid-January to late March you are virtually guaranteed to be able to spot one of the majestic creatures. During this period it is also possible hear the male humpback’s courting song and watch them vie for female attention. Whether on a private yacht or luxury yacht charter in the Dominican Republic the country has plenty to offer. Once you are finished whale spotting you should cruise onto the Los Haitises National Park, which has beautiful rain forests that are predominantly only accessible by boat. Flying into a destination to meet your superyacht is normally a necessary evil, but landing on St Barts airstrip is an experience in itself. Boasting one of the most scenic runways in the world Gustaf III Airport also ranks as one of the most extreme landings. Flying in involves a steep descent over mountain before touching down on the runway which is only 650 metres long. The landing is so complex that pilots have undertake specialist training in order to be allowed to land on the airport. Although the landing is not for the faint hearted it is an unforgettable experience and something to try at least once in your life. Once safely on the ground you can make your way to your private yacht or l uxury yacht charter in St Barts and have a strong rum cocktail to recover. Flying into a destination to meet your superyacht is normally a necessary evil, but landing on St Barts airstrip is an experience in itself. Boasting one of the most scenic runways in the world Gustaf III Airport also ranks as one of the most extreme landings. Flying in involves a steep descent over mountain before touching down on the runway which is only 650 metres long. 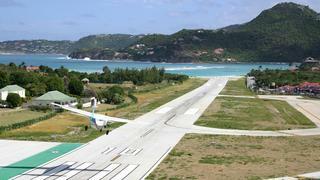 The landing is so complex that pilots have undertake specialist training in order to be allowed to land on the airport. Although the landing is not for the faint hearted it is an unforgettable experience and something to try at least once in your life. Once safely on the ground you can make your way to your private yacht or l uxury yacht charter in St Barts and have a strong rum cocktail to recover. The Blue Mountains of Jamaica are renowned for producing some of the world’s best coffee and there is no better place to enjoy its delicate but complex flavours than where it is grown. Make time while you are Jamaica to visit one of the coffee estates to learn more about growing and production or head to Mavis Bank Coffee Factory, which is the largest coffee factory in Jamaica. A ride up into the Blue Mountains is interesting as the roads are tricky but the views are spectacular. Although this Caribbean bucket list item will draw you away from the water for the day it will give you the chance to ensure you only drink Blue Mountain Coffee for the rest of your private cruise of luxury yacht charter in the Caribbean. The Blue Mountains of Jamaica are renowned for producing some of the world’s best coffee and there is no better place to enjoy its delicate but complex flavours than where it is grown. Make time while you are Jamaica to visit one of the coffee estates to learn more about growing and production or head to Mavis Bank Coffee Factory, which is the largest coffee factory in Jamaica. A ride up into the Blue Mountains is interesting as the roads are tricky but the views are spectacular. Although this Caribbean bucket list item will draw you away from the water for the day it will give you the chance to ensure you only drink Blue Mountain Coffee for the rest of your private cruise of luxury yacht charter in the Caribbean. The Baths on Virgin Gorda is an incredible geographical formation comprising of a series of gigantic granite boulders, forming sheltered sea pools and scenic grottos. One of the highlights of the national park is Devil's Bay, which is one of the best beaches in the Caribbean and has stunning clear waters for taking a dip or snorkeling in. Virgin Gorda is a perfect destination to visit with a superyacht thanks to the Yacht Club Costa Smeralda creating its Caribbean base on the island. The marina can accommodate yachts up to 91 metres. 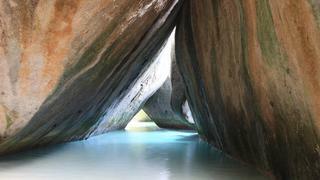 The Baths on Virgin Gorda is an incredible geographical formation comprising of a series of gigantic granite boulders, forming sheltered sea pools and scenic grottos. One of the highlights of the national park is Devil's Bay, which is one of the best beaches in the Caribbean and has stunning clear waters for taking a dip or snorkeling in. Virgin Gorda is a perfect destination to visit with a superyacht thanks to the Yacht Club Costa Smeralda creating its Caribbean base on the island. The marina can accommodate yachts up to 91 metres. Drinking a Painkiller cocktail at the Soggy Dollar Bar in Jost Van Dyke may not be the most adventurous activity on your Caribbean bucket list but it will certainly be one of the most fun. The legendary Caribbean rum cocktail contains dark rum, cream of coconut, pineapple and orange juice and Soggy Dollar Bar gives Jost Van Dyke its reputation as one of the best islands to party on in the Caribbean. The best way to get to the bar is to swim in — hence the name “Soggy Dollar” — but make sure you don’t have too many Painkillers before you swim back. Drinking a Painkiller cocktail at the Soggy Dollar Bar in Jost Van Dyke may not be the most adventurous activity on your Caribbean bucket list but it will certainly be one of the most fun. 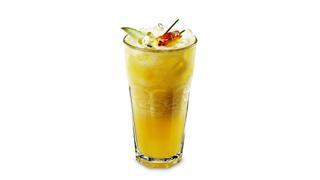 The legendary Caribbean rum cocktail contains dark rum, cream of coconut, pineapple and orange juice and Soggy Dollar Bar gives Jost Van Dyke its reputation as one of the best islands to party on in the Caribbean. The best way to get to the bar is to swim in — hence the name “Soggy Dollar” — but make sure you don’t have too many Painkillers before you swim back. Which of these 7 Caribbean islands suits you and your superyacht?